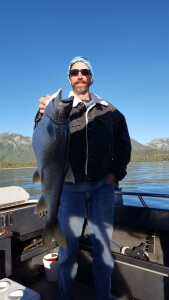 Report: The last two weeks of June were outstanding fishing on Lake Tahoe. 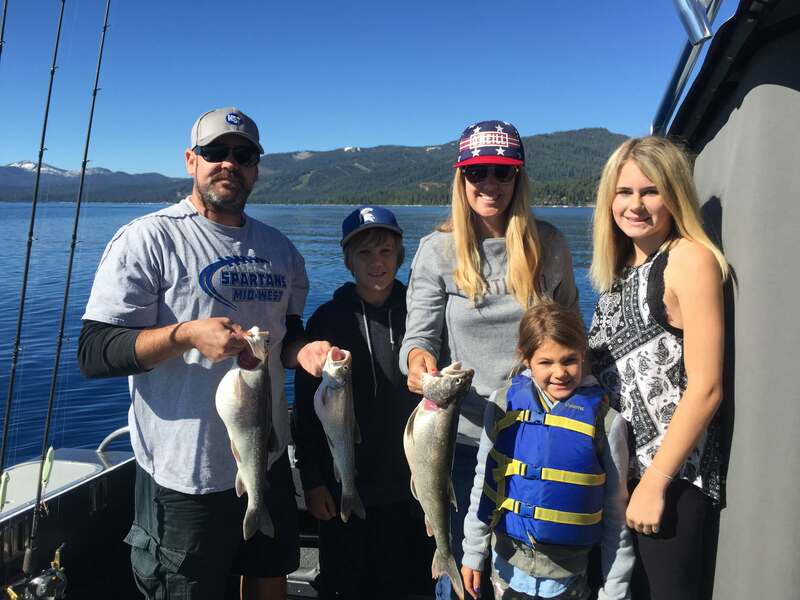 Many double digit fish have been landed on the south shore of Tahoe. 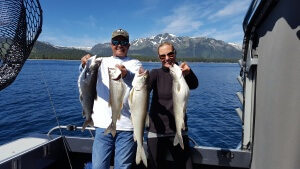 Limits of Mackinaw ranging from 2-6 pounds jigging in waters 150-200 feet. 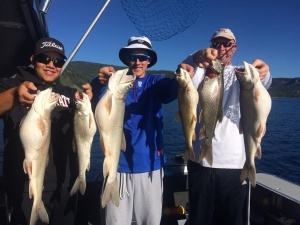 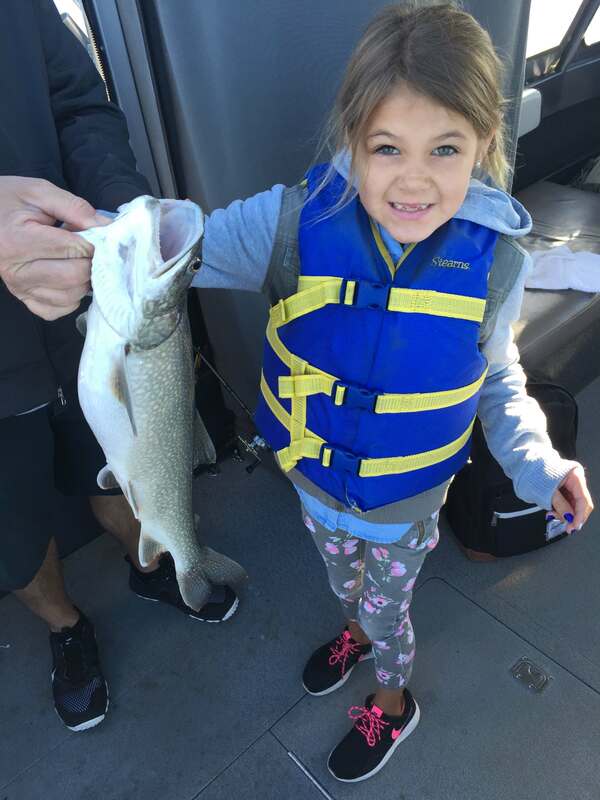 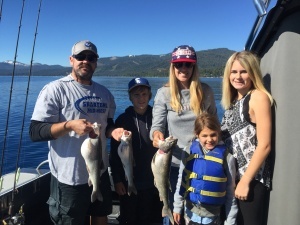 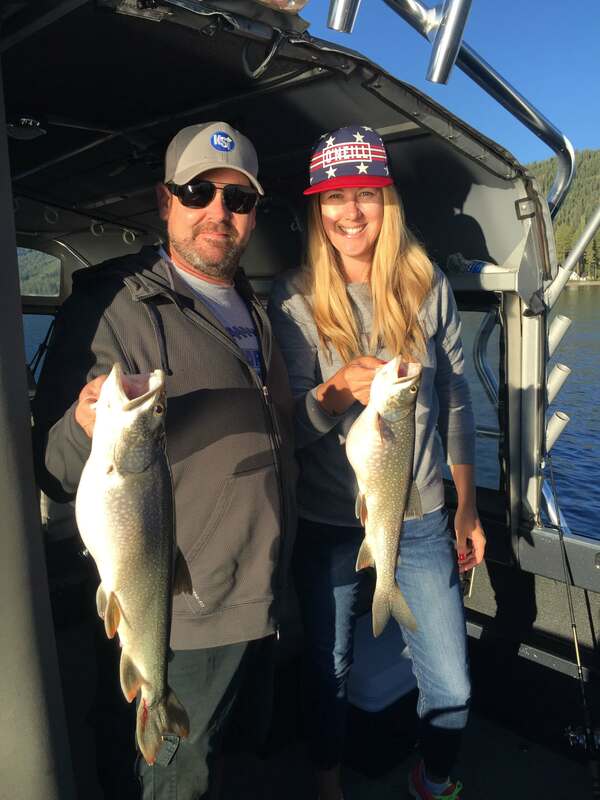 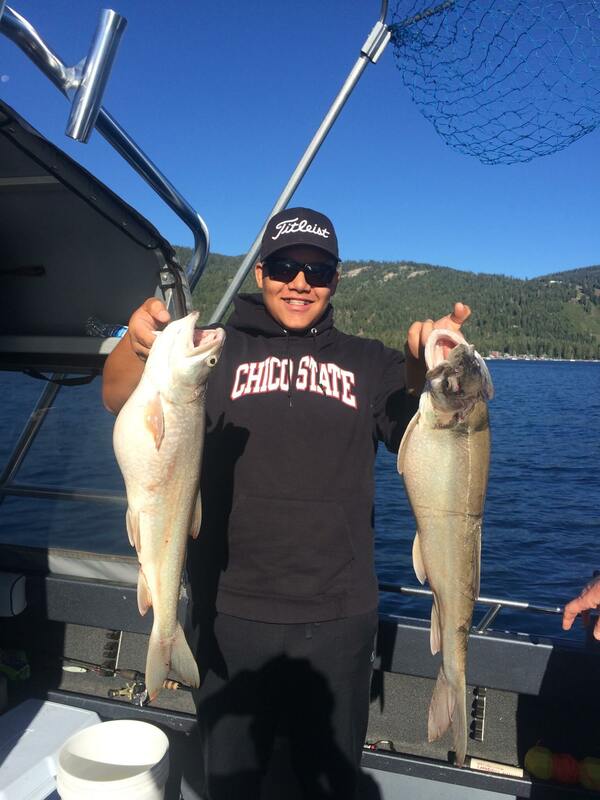 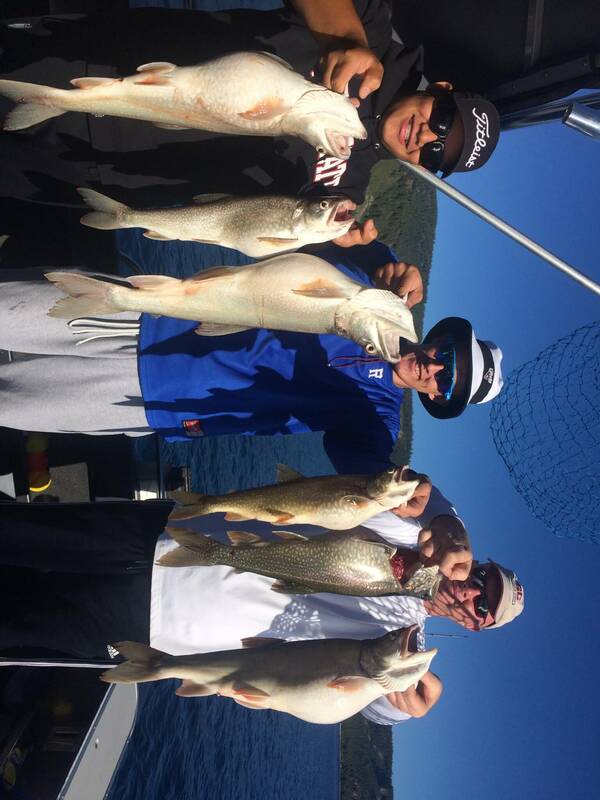 To make reservations please call us at 530-577-6834 to book your 2016 Lake Tahoe fishing experience.